This is the next interview in a series where I talk to people who are making contributions to the community life in Poland and elsewhere. 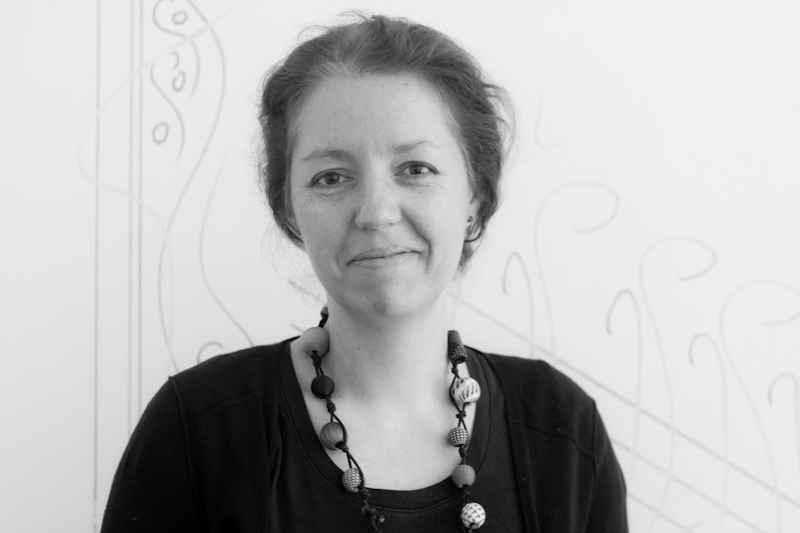 Ewa is the Curator of TEDxKrakow, and is active in other community, social and business initiatives. She has lived in Krakow for many years, and I appreciate that she took the time and trouble to answer my questions. Please introduce yourself, who are you, what do you do and where are you from? Ewa Spohn –I’m originally from London but have a Polish background. I have been the curator of TEDxKrakow since December 2011. On an everyday basis, I work for a company that sets up supply chains of organic fruit from Poland and the Ukraine for large food processors. When did you first hear about TED and TEDx? I first heard about TED in 2008 when a friend emailed me a talk –I was hooked immediately. I found out about TEDx when I found out that TEDxWarsaw was being organised so I decided to nominate Jonathan Ornstein of the JCC in Krakow as a speaker. He was accepted and I went up to Warsaw to see him talk. I left the event totally inspired and I knew then that TEDx was an idea worth getting involved with. The first TEDxKraków happened a few months later. Why did you decide to get involved and apply for a license? I was part of the team that organised the first TEDxKraków at the Auditorium Maximum in October 2011. I saw real potential in what we’d started and when Paul Klipp, the first licensee decided not to carry on, I consulted with the rest of the team and applied for it myself. What was the most unexpected outcome? The thing that’s most surprised me is the reach that TEDx offers. When you become a TEDx organiser you become part of a group of amazing people around the world who are passionate about their communities. There are now 6 TEDx events happening every day around the world, each led by people who want to make a difference in their community. Our cultures may be very different, but our goals are the same and I’ve made some lifelong friends among the TEDx organiser community, both here in Poland and abroad. I wasn’t expecting that. In terms of what we’ve achieved as a team in Kraków, I also didn’t expect the reach that a talk given at a TEDx event in a small city like ours can achieve. Seeing Tal Golesworthy’s talk from TEDxKraków 2011 make it on to TED.com and clock up over 1,000,000 views is amazing. Tal suffers from a genetic disorder and he spoke about a revolutionary treatment that he developed and for which he was the first patient. He had been promoting his approach to the medical community for years, but as a result of the exposure he got on TED.com, his idea has reached far more people than he could ever have done alone. Now it looks as though many more people will have their lives transformed as a result. And had I not persuaded him to come and talk at TEDxKraków, it would never have happened. The TEDxKraków team decided that our goal is ‘to inspire people who are up to something’and I am frequently touched and inspired by our strong team of amazing people who give their time and energy for free, who work together to achieve this goal for our common good. There are two things that are quite challenging. The first is keeping what we do fresh and relevant. Our community in Krakow is smart and aware, and we want to bring them speakers and ideas that challenge and stimulate and are relevant. It’s a tough call and we’re learning as we go. Secondly, organising TEDxKraków takes up as much time as you allow it. It’s a strong brand and it starts a lot of conversations –it’s fascinating and it can quite easily become a full time job! This can be quite a challenge to manage as everyone on the team has a full time job already and none of us are paid for the time we put into organising TEDxKraków. Keeping the wheels on the bus, keeping the show on the road and keeping calm and carrying on (this last one doesn’t always work out as well as I would like). What tips would you give about speaker selection? (a) Remember that your role is to make celebrities of your speakers –not to put celebrities on stage, (b) Choose speakers with ideas that make you see things in a different light –a more interesting, accurate or useful model of reality and (c) Make sure that the speaker is the only person who could be giving this talk – that this is the talk of THEIR life. What sort of practical support do you get from TED? The resources available to TED.com organisers are pretty comprehensive. Once you get your license you gain access to a great forum that is open to all licensees from around the world, where you can ask for advice and suggestions. I think it’s important to underline the fact that the TEDx community is very much self-generating –it’s not being driven by TED (in fact, I think that we are often as much a source of inspiration for them as they are to us…). The small TEDx team at TED HQ is always there if we need advice, but the fact is that with 6 events happening every day around the world and over 30,000 TEDx talks now online, there is only so much they can physically do to keep it all under some sort of control. What’s the most stressful thing that happened? Our major sponsor announcing that they were cutting their sponsorship by 60% a month before the main conference (and our budget in half) is something I won’t forget in a hurry. And then there was the time when the venue we booked in January told us 2 months before the event that they were installing an exhibition that would take up practically the entire building (it didn’t), so we had to find a new place at short notice. What do you say when you meet someone who hasn’t heard of TED.com or TEDx? I suggest they watch Derek Sivers’talk about how to start a movement and tell them that this is the kind of thing we do in Krakow. How do you persuade people to speak? Most of the people we approach have heard of TED (if not TEDxKraków) and are willing to speak. Often they’re quite nervous and apprehensive, but we spend a lot of time talking through their presentations and practicing. And we always underline the fact that no matter what happens on stage, we will edit the talk to make them look amazing! What do you say when people tell you they want to speak on TED.com? We suggest that they contact the folks at TED, as that’s the TED.com website is their baby. Which are your favourite TED talks and why? It depends on my mood, but most recently I’ve been really moved by Norman Spack’s amazing talk on helping transgender teens. I also find myself going back to Michael Sandel’s talk on why we shouldn’t trust markets with our civic life, and Gavin Pretor-Pinney’s talk on watching clouds. How did you feel when you woke up the morning of your first event/and when it was all over? Excited/nervous and then excited, proud, satisfied and exhausted. What would you say to anyone who is considering getting involved in TED or TEDx? Just do it. What’s the worst that could happen? What funny interesting and/or strange facts can you tell us about yourself than most people don’t know about? I love ironing. It’s one of those rare activities in life where I can see immediate results. I also bake a mean Pavlova (ask Marek Wierzbicki).